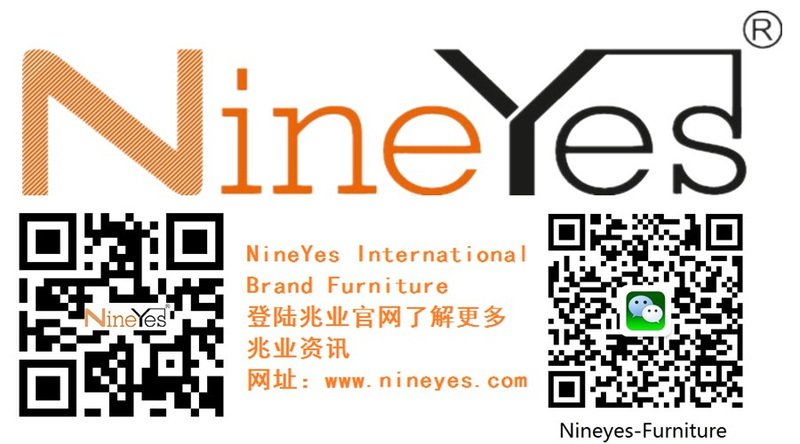 The 118th Canton Fair second day i met two beautiful lady , they are come from Indonesia ,she said our brand “NineYes” enjoy very high reputation in they country ,they said :we are looking for a high quality supplier, looked at our booth ,found our products is they are looking for , and know our company are having sales promotion ,she’s very exciting , and ask me many many problem ,such as delivery ,payments terms ,she looked our promotion list , very like MDF Veneer 290#,141# products , select some 290#,141# colors products ,MDF Melamine 1003# she also like ,think very fashion and modern , after long conservation ,she said will check carefully ,then tell me final order item No.,and color . Ended by Ms.Lerato Mohapi handshake and hug with us . Mike with Customer from oversea market. 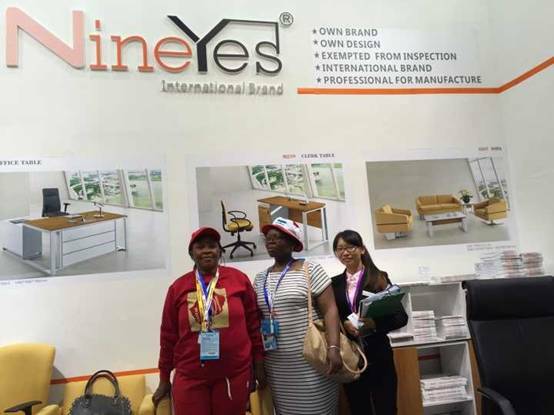 Mr. MD MAHMUDOL HASAN is a distributor of furniture from India. 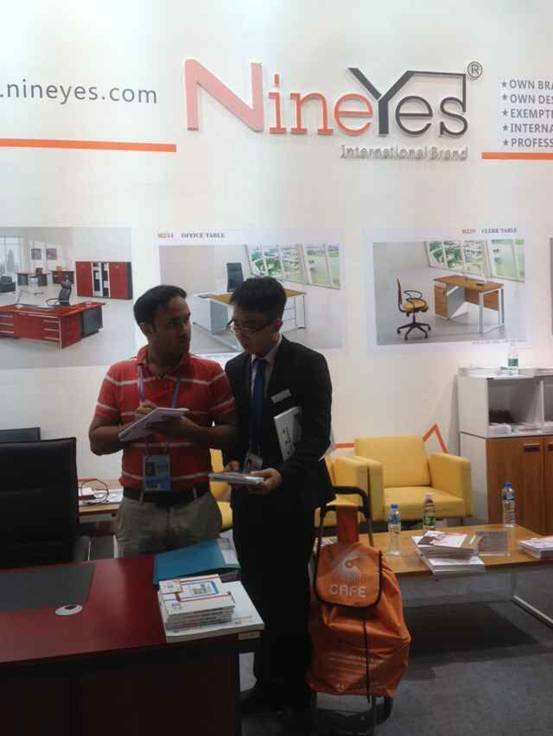 He showed his great interest in our melamine products in 1003# color when we met at our booth.